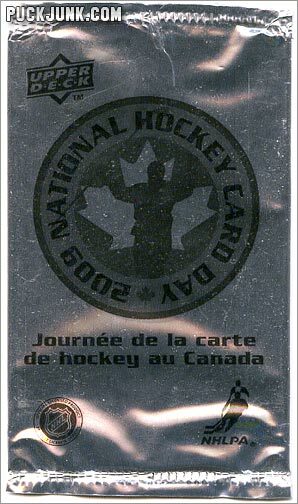 Given away in 5-card foil packs on February 21, 2009, the National Hockey Card Day set by Upper Deck focused on some of Canada’s most beloved players. 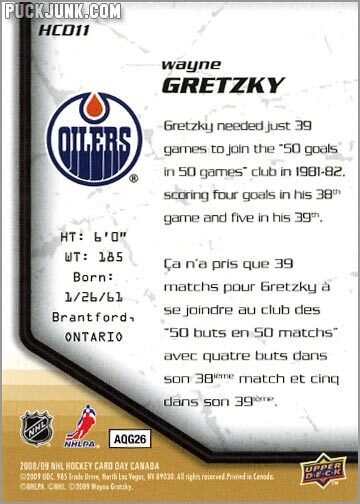 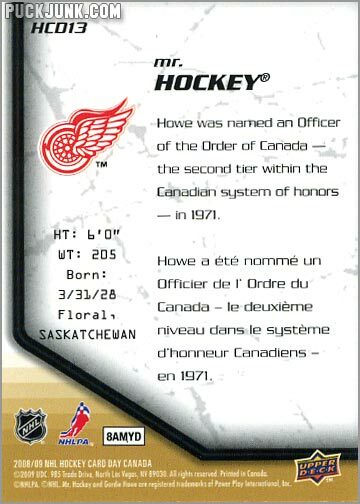 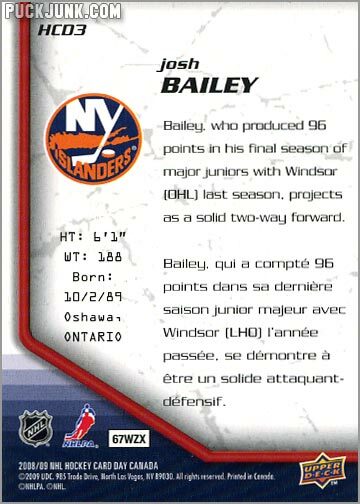 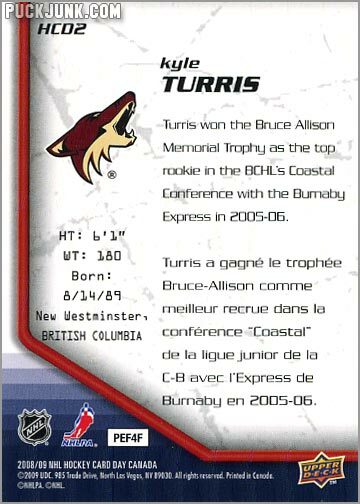 Packs were handed out, free of charge, at card shops, Toys R’ Us, and Wal-Mart stores across Canada as an effort to increase interest in hockey card collecting. 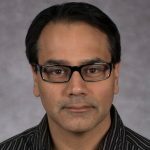 This is similar to Free Comic Book Day, when numerous comic books – made especially for the event – are given away at comic shops across the U.S. 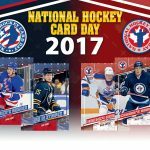 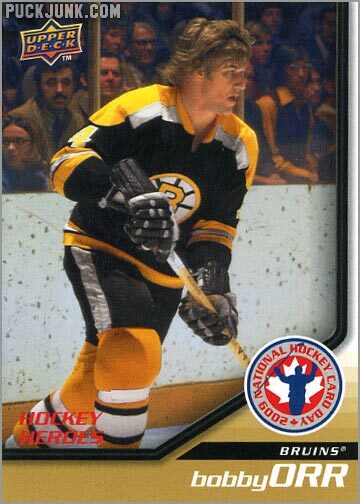 The 2009 National Hockey Card Day set has 15 cards: 5 are of rookies, 5 of popular current superstars and 5 of retired greats. 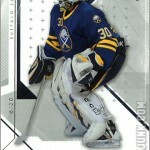 This set is all killer and no filler when it comes to the players featured. 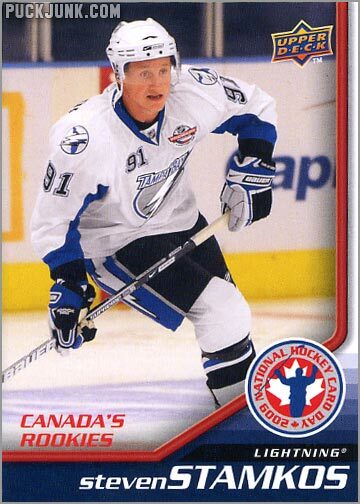 “Canada’s Rookies” start off the set with 5 highly-touted rookies from 2008-09, including first overall draft pick Steven Stamkos. 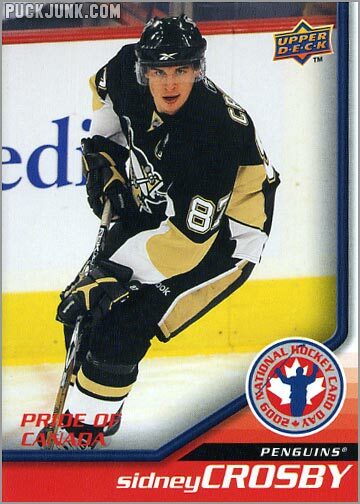 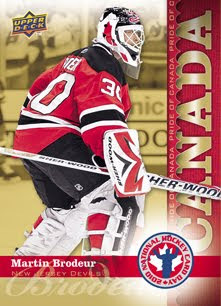 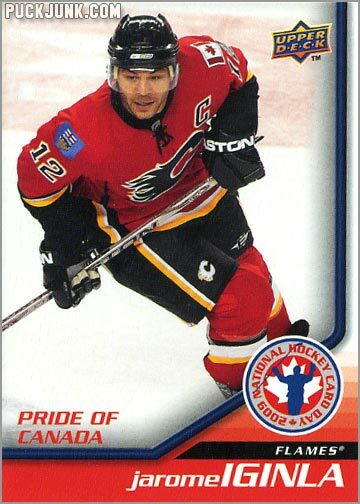 The next 5 cards, “Pride of Canada,” are of current untouchables like Sidney Crosby and Martin Brodeur. 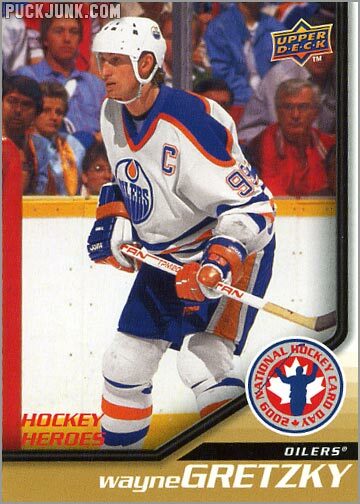 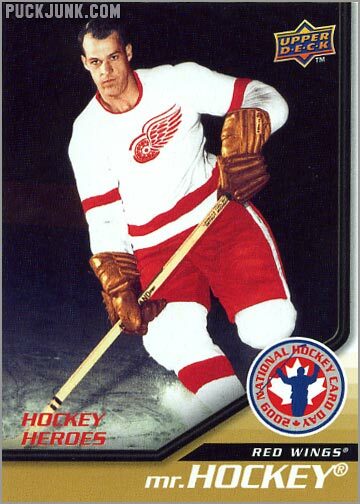 The final 5 cards are of “Hockey Heroes” – Wayne Gretzky, Mario Lemieux, Gordie Howe (referred to as “Mr. 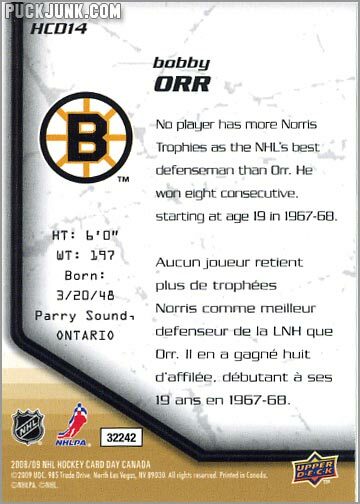 Hockey”), Bobby Orr and broadcaster Don Cherry. 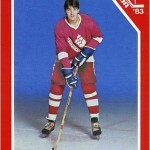 A full-color action photograph of the player adorns the front. 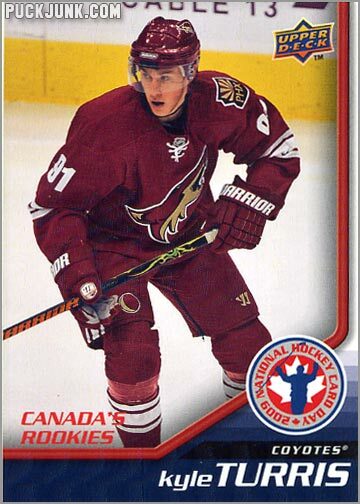 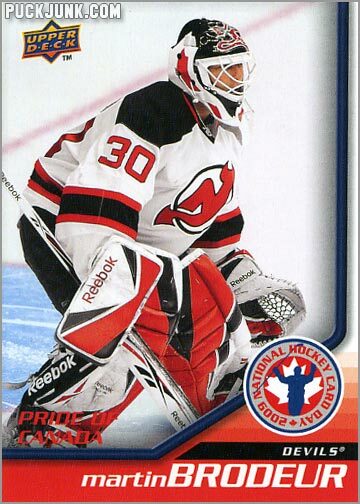 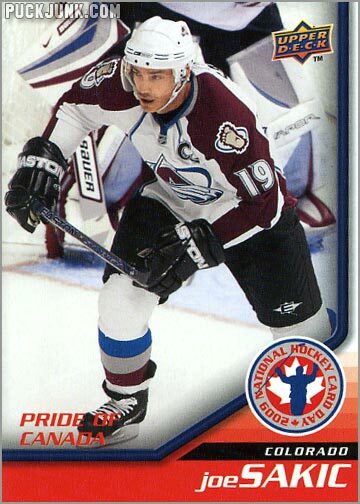 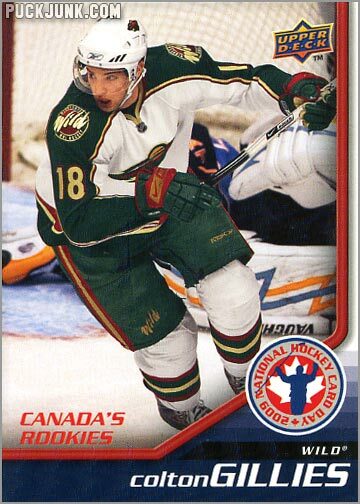 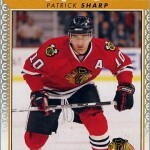 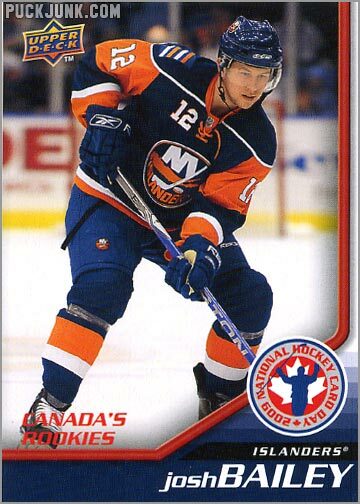 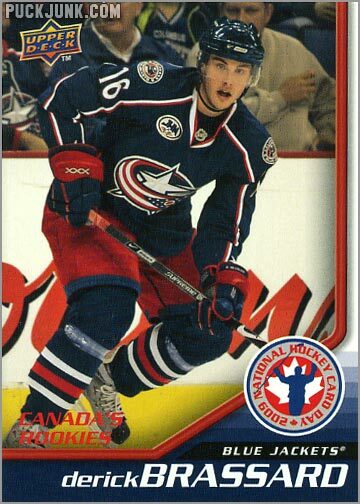 The “National Hockey Card Day 2009” logo looms above the player name and team name. 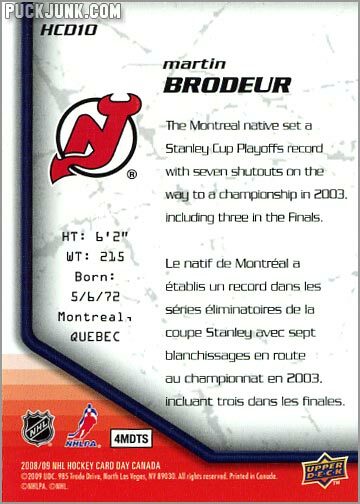 An angular streak breaks up the space, and the red text (“Canada’s Rookies,” “Pride of Canada” or “Hockey Heroes”) is superimposed over the photo at the bottom. This text is sometimes hard to read; otherwise, the design is cohesive. 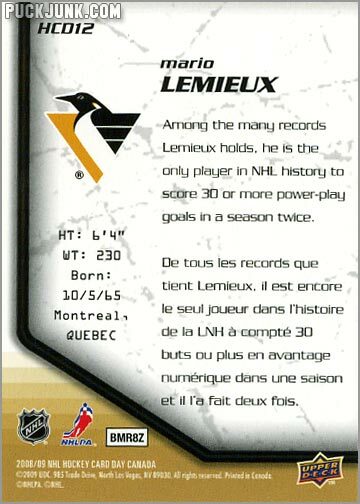 Height, weight, birth date, birthplace and team logo accompany a short biography that is written in both English and French. The text is in front of a scratched-up ice surface, which looks pretty cool and does not affect readability. 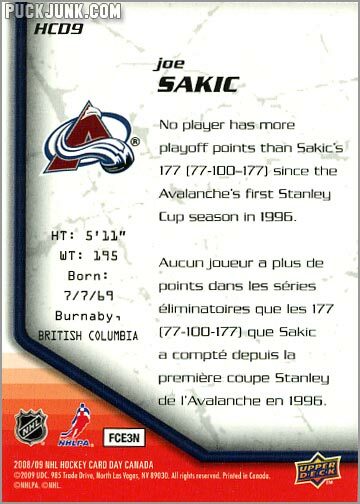 There are some awesome players in this small set. 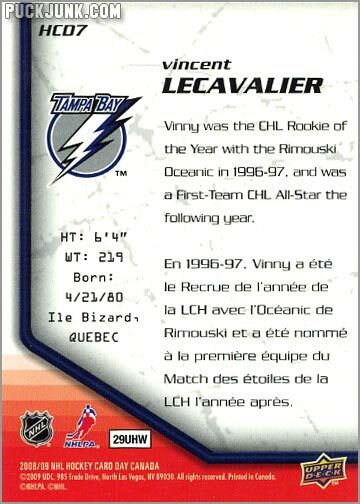 And while the jury still might be out on how great some of these rookies will turn out – COUGH! Colton Gillies! 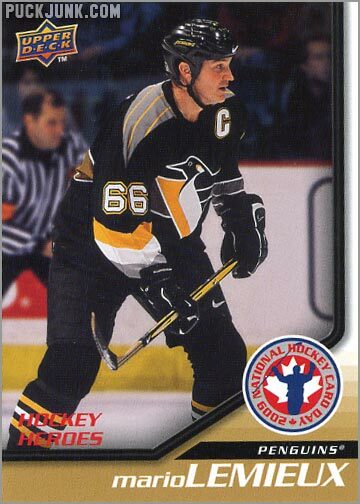 COUGH! 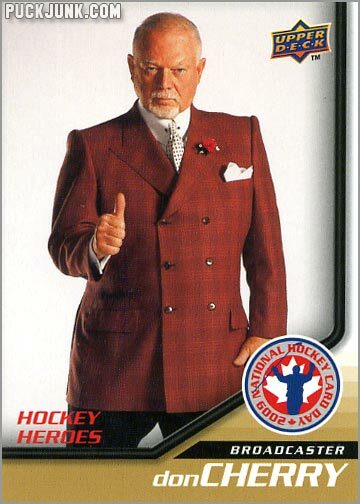 COUGH! 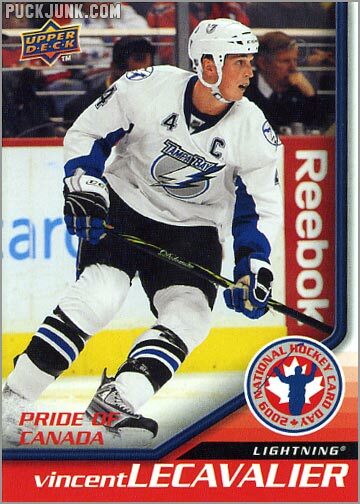 – the set will not cost much and is a good, inexpensive way to pick up a Stamkos card. 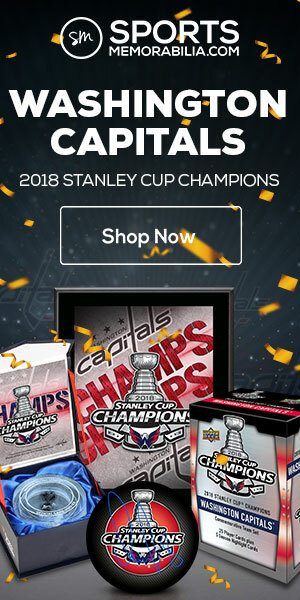 Here’s the entire set. 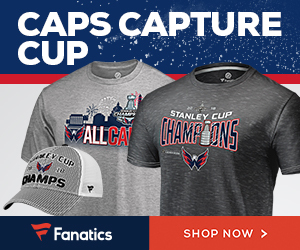 Click any image to start the slideshow.